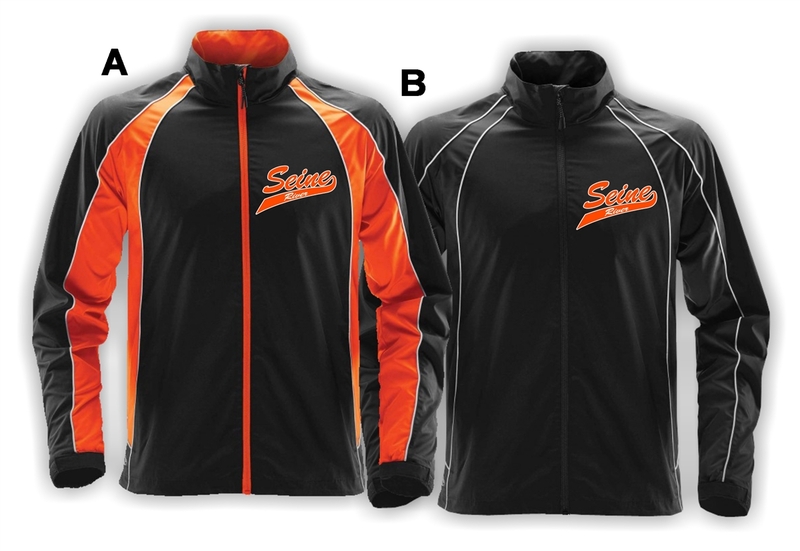 Stormtech Warrior Track Jacket with left front embroidered logo. Available in Black/Orange/White or Black/Black/White. Add embroidered back bottom name for $15.00.